Photo courtesy of Wilmington University. In our great state of Delaware, which takes only 2 hours to travel from the tip of New Castle County to the southern most point of Sussex County, is home to over 114,000 “food insecure” neighbors, that is, those that are “unable to consistently access or afford adequate food,” as defined by Merriam-Webster. One organization focused on meeting the needs of Delaware’s hungry is the Food Bank of Delaware, which opened its doors in 1981. According to their website, the Food Bank of Delaware provides food and resources through a network of 536 hunger-relief program partners. Partners include food pantries, shelter or residential programs, social service agencies, emergency soup kitchens, children’s nutrition programs, schools and neighborhood and church distribution programs who reach low-income people in need. Throughout the year, the Food Bank of Delaware staff depends on the assistance of a volunteer workforce. Opportunities to help include conducting food drives, sorting donated food, clerical, and light maintenance. Recently, we at Brandywine Technology spent the morning sorting donated food, packing hundreds of food backpacks for kids, and even running the massive compactor to recycle the mountains of cardboard that appears daily. The compactor was a personal favorite for a few of us! 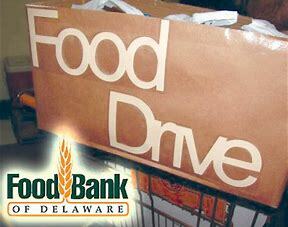 To learn more about the Food Bank of Delaware, visit www.FBD.org. If you need help with slightly more technical experience, we can help you there. too! Visit www.BrandywineTechnology.com or call 302.656.6100 to tell us about your IT or technical resource needs. We’d love to help!